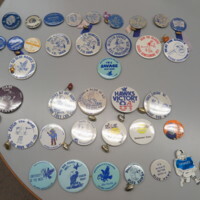 A collection of Dickinson State University's homecoming buttons spanning decades. 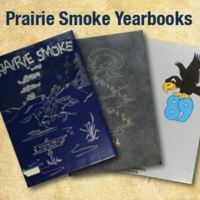 A collection of Dickinson State University's Prairie Smoke yearbooks (annuals). The collection contains yearbooks from 1923 through 2000. 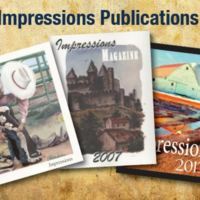 A collection of Dickinson State University's Impressions publication produced by the Department of Language and Literature. 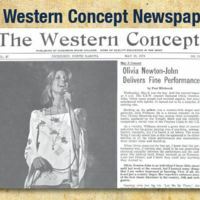 The collection contains from 1989 onward and is updated periodically with the new editions. 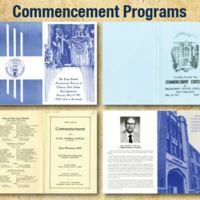 A collection of Dickinson State University's commencement programs. 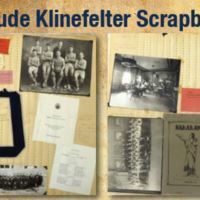 The collection contains programs as early as 1920 and is updated periodically with the new editions. 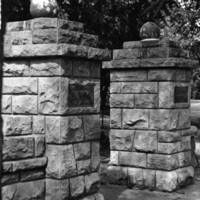 Entrance to DSU's main campus. Two stone pillars. 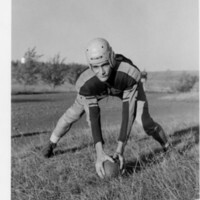 Photo of Roger Huffman Posing with Football in field. 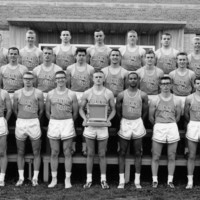 Roger Huffman was the college's athletic director who was an all-conference center during his student days.